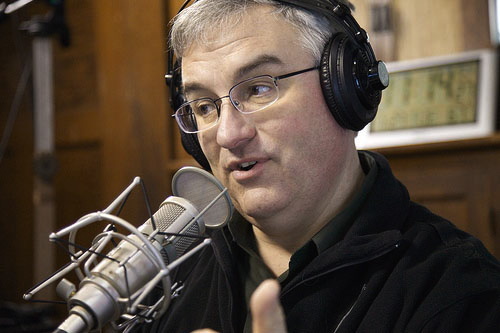 The Plan8 host Patrick Roanhouse has the pleasure to interview Leo Laporte. Chief TWiT of TWiT.Tv podcast network. Leo Laporte has created a little Podcasting Empire that now pulls in a millions dollar a year profit from doing audio / video podcasts that have hosts talking about a range of thing. Originally starting with technology the TWiT network has shows that focus on everything from the daily new of Google with “This Week in Google”, Apple computers with “Macbreak Weekly”, Free / Libre Open Source Software with FLOSS Weekly, Science Chat with Dr Kristen Sanford, NSFW with Brian Brushwood, and many others. Broadcasting daily several shows Leo has shown the world that you can do a full internet television network of high-end HD Broadcasting for less than it would cost even public broadcasting.